The next wave of bodybuilding supplements may help you adapt to stressors, recover more quickly, burn fat without stimulants, and much more. Here are 5 you need to know! If you know me, you know that I'm all about the basics. I think that reinventing the wheel simply for the sake of being different is silly. I mean, I've certainly gone against the grain with much of the advice I've dispensed over the years, but it was usually because the "grain" was, well, stupid and unsupported by evidence. So I always chuckle when supplement companies hype up their products with new, unproven ingredients. Who cares how novel something is if it doesn't do jack? This is why I've always been big on creatine monohydrate, despite many "improved" novel forms. Monohydrate can saturate the muscle cell 100 percent—and the last time I checked, you can't get better than 100 percent. Whey protein, BCAAs, fish oil, and a few others have never been improved on, no matter how hard the industry has tried. But your stack doesn't have to end there. In recent years, a few new supplements have been building up not only good reputations, but good evidence to support their effectiveness. Down the line, it wouldn't surprise me in the least to see them skyrocket into mainstream popularity. Here are my five picks for the best bodybuilding supplements you aren't using—yet! More research will be needed to further explain how and why this occurs, but it appears that taking 300 milligrams twice per day may benefit strength and muscle gains. Even though research is still in its infancy regarding ashwagandha, this supplement has much more backing than some of the more popular ones on the market today. Fucoxanthin is a marine compound found in several types of brown seaweed. It's not a stimulant, but it may have an effect on fat loss and the creation of new fat cells.6 Fucoxanthin seems to be stored in existing fat cells and appears to induce increased energy expenditure, possibly via increased thermogenesis, which is the creation of heat.7,8 Why should you care? The creation of heat requires calories, meaning there's potentially an increase in calorie burning. The thermogenic effect takes time, however, as fucoxanthin must accumulate in fat cells before it can exert its fat-burning effects, similar to how creatine must accumulate in muscle cells before is benefits can be optimized. That's all a sciency way of saying that fucoxanthin could be a novel but effective way to reduce body fat that is not stimulant-based. Generally, it's recommended you take fucoxanthin with dietary fat to enhance absorption.11 And remember, the effect of this compound isn't acute; it could take numerous weeks, or even several months, to build up enough to make a significant difference. Most impressive, however, is that tart cherry has been suggested to improve recovery in resistance-trained individuals.16 Why is this important? Untrained people produce a lot of muscle damage, so they often respond better to supplementation with compounds that reduce soreness than trained individuals. It's rare that a compound demonstrates the ability to support recovery in resistance-trained individuals, since they already recover at a faster rate than untrained individuals. 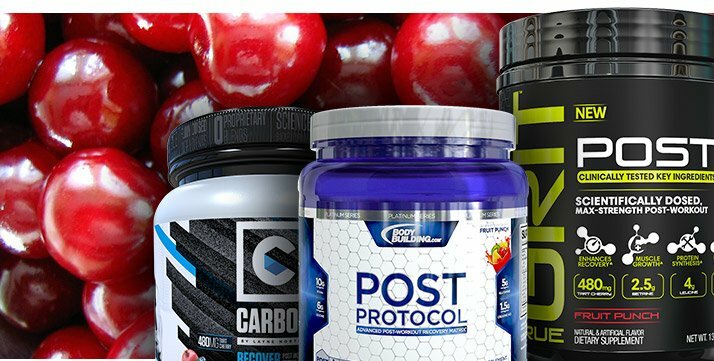 This means tart cherry supplementation could cut down the time it takes for you to recover from a workout, allowing you to perform your next one more effectively. * When the weights get heavy and the volume piles up, like in Phase 3 of my 13-week program PH3, that could make all the difference. Bhattacharya, S. K., & Muruganandam, A. V. (2003). Adaptogenic activity of Withania somnifera: an experimental study using a rat model of chronic stress. Pharmacology Biochemistry and Behavior, 75(3), 547-555. Gupta, G. L., & Rana, A. C. (2007). Protective effect of Withania somnifera dunal root extract against protracted social isolation induced behavior in rats. Indian Journal of Physiology and Pharmacology, 51(4), 345-353. Wankhede, S., Langade, D., Joshi, K., Sinha, S. R., & Bhattacharyya, S. (2015). Examining the effect of Withania somnifera supplementation on muscle strength and recovery: a randomized controlled trial. Journal of the International Society of Sports Nutrition, 12(1), 1-11. Bang, H. S., Seo, D. Y., Chung, Y. M., Oh, K. M., Park, J. J., Arturo, F., ... & Han, J. (2014). Ursolic Acid-Induced Elevation of Serum Irisin Augments Muscle Strength During Resistance Training in Men. The Korean Journal of Physiology & Pharmacology, 18(5), 441-446. Kunkel, S. D., Suneja, M., Ebert, S. M., Bongers, K. S., Fox, D. K., Malmberg, S. E., ... & Adams, C. M. (2011). mRNA expression signatures of human skeletal muscle atrophy identify a natural compound that increases muscle mass. Cell Metabolism, 13(6), 627-638. Maeda, H., Hosokawa, M., Sashima, T., Takahashi, N., Kawada, T., & Miyashita, K. (2006). Fucoxanthin and its metabolite, fucoxanthinol, suppress adipocyte differentiation in 3T3-L1 cells. International Journal of Molecular Medicine, 18(1), 147-152. Yonekura, L., Kobayashi, M., Terasaki, M., & Nagao, A. (2010). Keto-carotenoids are the major metabolites of dietary lutein and fucoxanthin in mouse tissues. The Journal of Nutrition, 140(10), 1824-1831. Abidov, M., Ramazanov, Z., Seifulla, R., & Grachev, S. (2010). The effects of Xanthigen in the weight management of obese premenopausal women with non alcoholic fatty liver disease and normal liver fat. Diabetes, Obesity and Metabolism, 12(1), 72-81. Maeda, H., Hosokawa, M., Sashima, T., Funayama, K., & Miyashita, K. (2005). Fucoxanthin from edible seaweed, Undaria pinnatifida, shows antiobesity effect through UCP1 expression in white adipose tissues. Biochemical and Biophysical Research Communications, 332(2), 392-397. Kang, S. I., Shin, H. S., Kim, H. M., Yoon, S. A., Kang, S. W., Kim, J. H., ... & Kim, S. J. (2012). Petalonia binghamiae extract and its constituent fucoxanthin ameliorate high-fat diet-induced obesity by activating AMP-activated protein kinase. Journal of Agricultural and Food Chemistry, 60(13), 3389-3395. Hu, X., Li, Y., Li, C., Fu, Y., Cai, F., Chen, Q., & Li, D. (2012). Combination of fucoxanthin and conjugated linoleic acid attenuates body weight gain and improves lipid metabolism in high-fat diet-induced obese rats. Archives of Biochemistry and Biophysics, 519(1), 59-65. Hung, S. K., Perry, R., & Ernst, E. (2011). The effectiveness and efficacy of Rhodiola rosea L.: a systematic review of randomized clinical trials. Phytomedicine, 18(4), 235-244. Parisi, A., Tranchita, E., Duranti, G., Ciminelli, E., Quaranta, F., Ceci, R., ... & Sabatini, S. (2010). 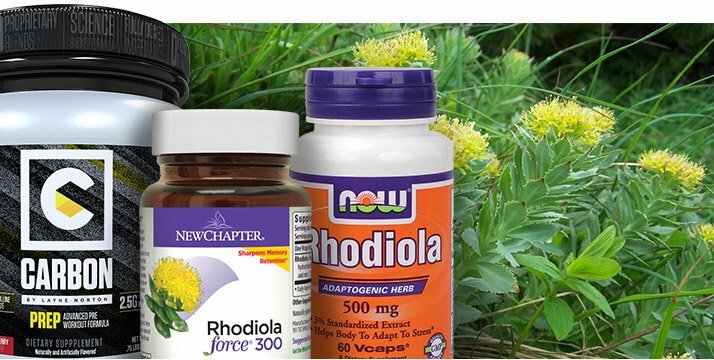 Effects of chronic Rhodiola Rosea supplementation on sport performance and antioxidant capacity in trained male: preliminary results. Journal of Sports Medicine and Physical Fitness, 50(1), 57. Howatson, G., McHugh, M. P., Hill, J. A., Brouner, J., Jewell, A. P., Van Someren, K. A., ... & Howatson, S. A. (2010). Influence of tart cherry juice on indices of recovery following marathon running. Scandinavian Journal of Medicine & Science in Sports, 20(6), 843-852. Levers, K., Dalton, R., Galvan, E., Goodenough, C., O'Connor, A., Simbo, S., ... & Riechman, S. (2015). Effects of powdered Montmorency tart cherry supplementation on an acute bout of intense lower body strength exercise in resistance trained males. Journal of the International Society of Sports Nutrition, 12(1), 1-23.